My Lower League Week column has, over the past two years, become the premier weekly internet recap of events in Leagues One and Two written by a guy called David Stringer. 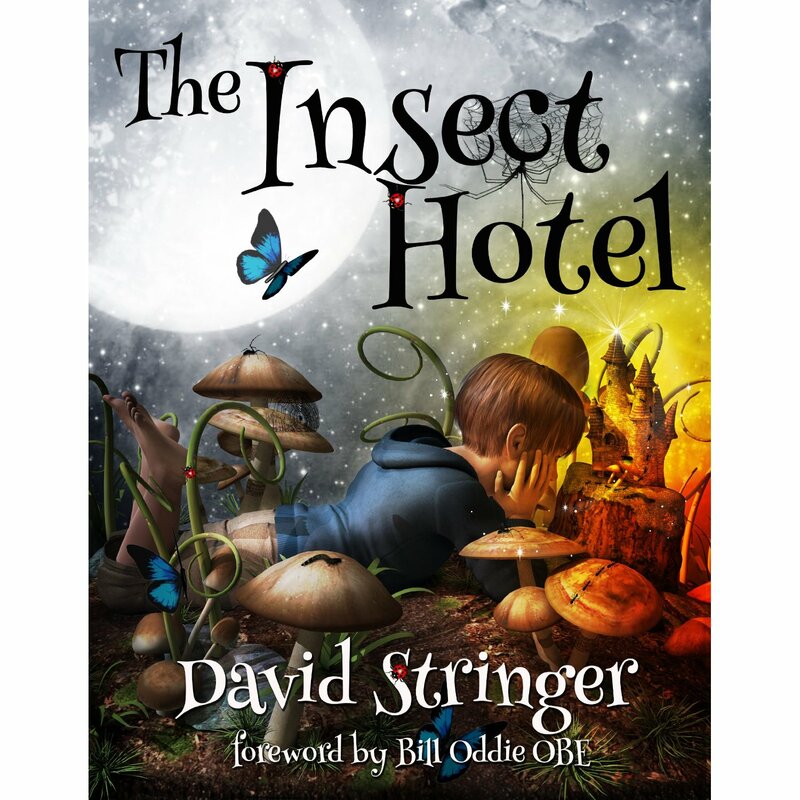 That is, unless the David Stringer who wrote The Insect Hotel has decided to branch out. When I feel sad, I like to look at this cover and pretend Bill Oddie wrote a foreword to my book. After not being able to find the time in a hectic last seven weeks (which I’ll blog about at some point soon) I’ve finally gotten back into the swing of things with a Lower League Weeks, published today at Bornoffside. In it I cover Leyton Orient maintaining their position at the top of League One; Bristol City’s surprisingly enduring underachievement; a mass of sackings and replacements; and, more seriously, Tranmere player Joe Thompson’s battle with cancer. The Football League is set to start again today, so it’s about time for me to get round to linking to a couple of articles I wrote during the week for Bornoffside.net, summing up the events concerning the teams of League One and Two. 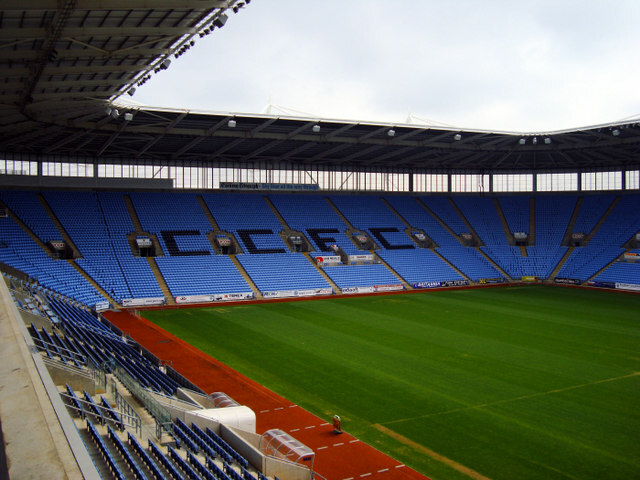 This stadium was as packed during the summer as it will be during Coventry’s matches. Wolves have been named as the favourites for League One after being relegated for two years in a row, but haven’t done all that much in the transfer market; Coventry have been in deep financial trouble, and have made the deeply unpopular decision to move the team 30 miles from home, with only 300 fans following them (seriously). Swindon and Walsall have stripped their team away, while Exeter have arranged to follow the example of Arsenal, Manchester United and others by jetting off around the world for a pre-season tour next summer. But in there case, there is a justification beyond ‘we like money’. This is a late link yet again, with the final, double-sized edition of the Lower League Week going up on Bornoffside.net during the week. Some of the bigger stories were Coventry’s stadium apparently being on fire; the playoff finals; new managers for Doncaster and Hartlepool; Wolves and Sheffield United still searching for bosses (at the time of writing); the effects and to an extent the morality of parachute payments; early summer transfers; Bury’s financial troubles, and Billy Sharp being playful. Probably. On Friday BornOffside published my latest Lower League Week. It begins with a summary of the events in the League One and Two playoff semi-finals, which were pretty dramatic. I also covered the smaller, end of season stories. Bury fan favourite Efe Sodje is in conflict with manager Kevin Blackwell, refusing to sign a new contract unless he leaves. Steve Fletcher has finally retired at the age of 40, not because decades of centre-forwarding have taken their toll on his body, but simply because he’s pretty far down the pecking order now. Coventry were locked out of their stadium again after continuing to refuse to pay the rent (what are they like!) and Martin Ling, who’d been on sick leave, has been replaced as Torquay manager by Alan Knill. Having narrowly survived relegation, Dagenham caretaker manager Wayne Burnett has been appointed as permanent manager, while Brian Flynn has decided against continuing as Doncaster boss despite their last minute title win. And Luke McCormick has returned to Plymouth, the club that terminated his contract after he was convicted of causing the death of two young boys. Yeah, it’s not all sweetness and light. During the week, the latest Lower League Week was published at Bornoffside.net. Portsmouth were taken over by their fans, but, along with Bury and Hartlepool, were relegated from League One with two games to play. Yeovil vs Oldham saw father and son managers on the touchline; Torquay’s new chairman is a lottery winner, and the country’s highest positioned female chairman; Danny Wilson was sacked by Sheffield United; and Coventry have outdone themselves in their battle over the Ricoh Arena. Two weeks ago I couldn’t find the time to write a Lower League Week, so last week I wrote a Lower League Fortnight for Bornoffside, covering the events of both weeks. Coventry are in a legal mess of their own making; things are starting to look up for Portsmouth (relatively speaking); Bury’s players are on low wages; several of Accrington’s players haven’t been paid, but they now have two England international strikers on their books; the Fleetwood chairman has used Twitter to criticise his players; Southend defender Bilel Mohsni might be taking part in a cage fight; and Dani Lopez scored hat-tricks on two successive weekends, for two different teams, in two different divisions. Not bad. Another Lower League Week has been published at Bornoffside, again quite late in the week. This week I’ve written about the tightness of the races to get out of and remain in League One; after Jeanvion Yulu-Matondo was apparently released by Bury after one game, he’s given his side of the story; Chris Kiwomya has been given the Notts County job until the end of the season; Bradford and Oldham have both been knocked out of cups; Southend are in trouble with HMRC; John Still has left Dagenham & Redbridge after nine years to take over as boss at Luton; and Oxford’s match was delayed because the goalposts weren’t put in straight.